The 70th anniversary season opening concert of the Wichita Falls Symphony Orchestra featured maestro Foaud Fakhouri in his new position as the organization’s music director. This concert was an exciting debut, both for Fakhouri and for the WFSO season. The orchestra had previously been led by Candler Schaffer for the past two decades, so it was probably appropriate that this concert with maestro Fakhouri was announced as “New Beginnings.” Those who follow the programming and concerts of the WFSO were aware of the high expectations that accompanied the appointment of the new music director, and maestro Fakhouri did not disappoint those who attended his maiden concert. For starters, it was gratifying to see the size of the audience at Memorial Auditorium, which filled almost every seat of the first floor. Judging by the energy and the connection created in the concert between the orchestra and the audience, the direction of maestro Fakhouri promises to be exactly as announced, a “new beginning” for the orchestra and the public of Wichita Falls. The program opened with Mozart’s Overture to the Marriage of Figaro, a standard repertoire piece that set up the festive and rejoicing mood for the rest of the concert. Memorial Auditorium’s less than perfect acoustical conditions were met by an enlarged orchestra, helping the audience to enjoy a more vibrant sound than is customary. The remaining three pieces in the program, Marquez’s Danzon No. 2, Stravinsky’s Firebird Suite, and Brahms’ First Symphony, are often used by orchestras as ending pieces, both because of their difficulty and by the impact they create on audiences. Thus, the program proved to be a tour de force for the orchestra, and a delight for those who attended. Danzon No. 2 was a breath of fresh air in an otherwise standard repertoire concert. Filled with syncopation, meter changes, and exciting rhythms, the orchestra’s rendition of this piece lacked nothing in terms of excitement. The Cuban-filled rhythms in the piece were met with a mastery of precision and enjoyment. To close the first half of the program, Stravinsky’s masterpiece was brought alive by the orchestra in its entire splendor of colors and delicacies. The listeners almost forgot the strong technical demands of the piece. Instead, the orchestra switched the attention to the evocative textures and vibrant moments of the six-movement suite. Brahms’ First Symphony is a challenging work for any orchestra. After all, it is arguably the most important symphony written in the nineteenth century following Beethoven’s symphonic legacy. Maestro Fakhouri connected all four movements of the work in a way that Brahms’ aesthetic message was well delivered to the audience: a rendition filled with beautiful lyrical and climactic moments. A good addition to the concerts is the preview conversations with the conductor before the concert. The audience is able to engage and ask questions, expanding the opportunity for enjoyment. The new video created for the 70th anniversary of the orchestra, which was shown right before the concert, also deserves special mention – it is both informative and of great visual quality. 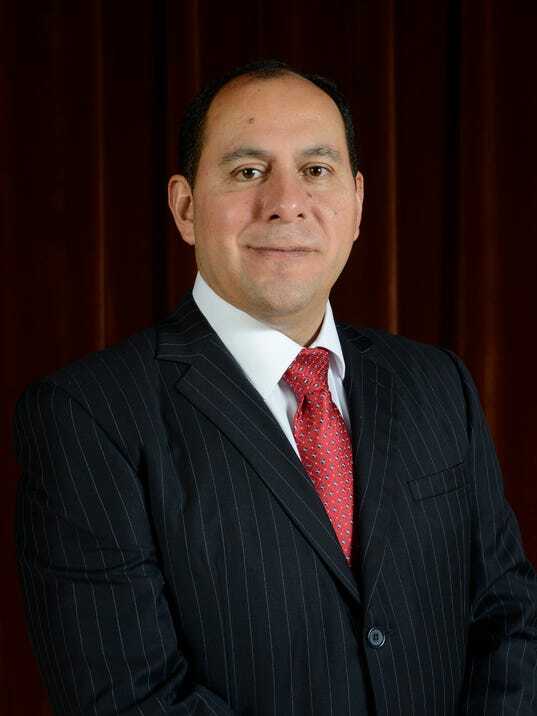 Martin Camacho is Dean of the Fain College of Fine Arts and Associate Professor of Music at Midwestern State University.